AMBIT WALL DECOR CANDLEHOLDER home decor, jewelry, decor, decorations, electronics, fountains, floor mats, art glass, vases, garden essentials, fireplace screens. Iron and candlelight combine to make a plain wall truly spectacular. 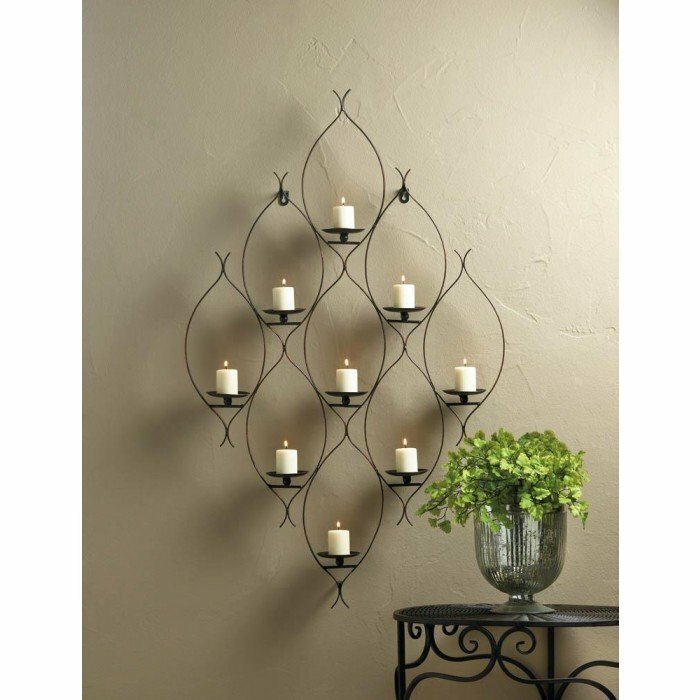 The artistic curved iron frame features 9 candle platforms and easy-mount brackets. Candles not included. Material(s):IRON. Weight 4 pounds. Dimensions 22.6" x 3" x 36.8".